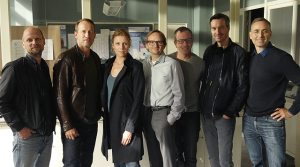 The shooting of “Tatort: The Golden Era” (WT) has started! Perhaps it never existed like this, “The Golden Era” of the Hamburg district between Reeperbahn and Hafenstraße. 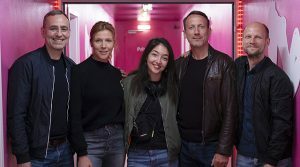 In the NDR “Tatort” of the same name, inspectors Thorsten Falke (Wotan Wilke Möhring) and Julia Grosz (Franziska Weisz) are investigating a contract murder in the red light district on the sinful mile. 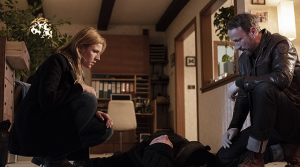 Mia Spengler (“Back for Good”, “Leg dich icht mit Klara an”) will direct the new episode of the crime series until 28 May in Hamburg-St. Pauli. Alongside Wotan Wilke Möhring and Franziska Weisz, Christian Redl, Michael Thomas, Bogdan Iancu, Roland Bonjour, Emma Drogunova, Levin Liam and Jonathan Kwesi Aikins are also in front of the camera. Producers of “Tatort: The Golden Era” are Björn Vosgerau and Uwe Kolbe (Wüste Medien GmbH), camera: Moritz Schultheiß. Donald Kraemer is in charge of the NDR editorial office. The first shows the “Tatort: The Golden Era” presumably in spring 2020. Theatrical release of “Another Day of Life” on April 4th 2019! On April 4th our co-production “Another Day of Life” will be released in German cinemas! Warsaw, 1975. Ryszard Kapuściński (43) is a brilliant journalist and an idealist. In the Polish press agency he persuades his boss to send him to Angola, where a bloody civil war rages on the eve of the country’s independence. On the battlefield he experiences the dirty reality of the war and discovers a previously unknown helplessness. His journey takes him right into a place of forlornness. Angola will change him forever: As a reporter he left Poland, as a writer he returns. „Another Day of Life“ nominated for Quirino Awards! The good news doesn’t stop. 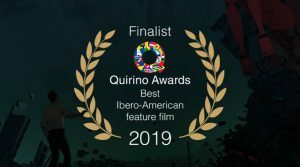 After “Another Day of Life” already received the Goya Award For Best Animated Feature at the beginning of February 2019, the film is now also nominated for the Ibero-American Animation Quirino Awards. We are proud and happy for the whole team! „Another Day of Life“ wins European Film Award! 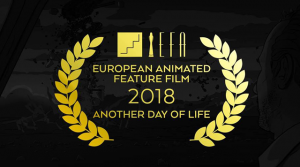 We are happy to announce that our coproduction „Another Day of Life“ has won the European film award for „Best European Animated Feature Film“! We are overjoyed and would like to thank the European Film Academy for this great appreciation of the work of all participants! 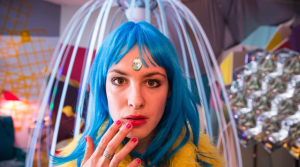 “Electric Girl” enters competition of Filmfestival Max Ophüls Preis! We are very happy that our co-production “Electric Girl” will celebrate its premiere at the 40th film festival Max Ophüls Preis and take part in the competition! Directed by Ziska Riemann after a book by Angela Christlieb, Dagmar Gabler, Ziska Riemann & Luci van Org . The film was produced by Niko Film in co-production with A Private View, Wüste Film and WDR in cooperation with Arte. The production was supported by the Filmförderung Hamburg Schleswig-Holstein and the nordmedia Film- und Mediengesellschaft. In starring alongside Victoria Schulz are Hans Jochen Wagner, Svenja Jung, Björn von der Wellen, Oonavon Maydell and many others. Shooting of “Wahre Liebe kommt ganz leise” (WT) has started! Everyone remembers her: the first love. We often think of it full of romance and nostalgia. But can you revive your first love? Or is there an expiration date for feelings? The shooting of the romantic comedy “Wahre Liebe kommt ganz leise” (AT), directed by André Erkau, began in Dömitz on 13 November. Besides Kostja Ullmann Kim Riedle, Johannes Allmayer, Julia Hartmann and others will play. The film will be shot until mid-December in Dömitz and Hamburg. The toy salesman and nostalgic Jakob (Kostja Ullmann), who is still devoted to his childhood love Marie (Julia Hartmann), meets her again after years. Due to a misunderstanding, Marie believes that Jakob is now a successful photographer. Since Jakob, who is anything but successful, notices that Marie is now beginning to see him with different eyes, he does not clear up the error. And faster than Jakob can say “white lie”, he finds himself in a net of half-truths and untruths. With the female expertise of his self-confident colleague Lotte (Kim Riedle), Jakob creates a past that portrays him more successfully and more maturely than he actually is. They still get active support from Jakob’s best friend (Johannes Allmayer). But the closer Jakob gets to his goal of winning Marie back, the more he moves away from what really makes him special. And worse! Jacob distances himself from the people who like and love him as he really is. “Wahre Liebe kommt ganz leise” (AT) is a production by Wüste Medien GmbH on behalf of ARD Degeto for Das Erste. Producers are Björn Vosgerau and Uwe Kolbe. The script was written by André Erkau, who also directs it. Carolin Haasis (ARD Degeto) is the commissioning editor. „Another Day of Life“ nominated for European Film Award! 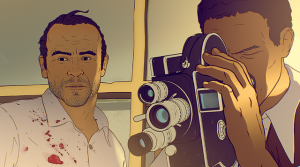 We are pleased that our international Coproduction “Another Day of Life” is one of four nominated films for the European Film Award 2018 in the category “Best animated Feature Film”. The European Film Award ceremony is taking place on December 15th in Sevilla. For more information click here. “Another Day of Life” is also nominated in 5 categories for EMILE 2018, the award of the European Animation Association. Previously “Another Day of Life” was awarded several times at numerous festivals, amongst others with the Audience Award in San Sebastian. In accompaniment to Wotan Wilke Möhring and Franziska Weisz will be Andreas Lust (Bernd Kranzbühler), Jörg Pose (Dieter Kranzbühler), Sascha Nathan (Siggi Reimers), Michelle Barthels (Maja Kristeva) and Levin Liam (Torben Falke). The shooting of “Tatort: Collateral Damage” has started! After a truck driver got shot, Thorsten Falke and Julia Grosz investigate around the haulage-company. Was it a mentally ill individual or a lager dispute between truckers? During their investigation Falke and Grosz try to break a wall of secrecy. While they more and more assume it’s about extortion, the sniper acts again…. Acting alongside Wotan Wilke Möhring and Franziska Weisz are Milan Peschel, Levin Liam, Charlotte Lorenzen and Oana Solomon among others. Two Wüste productions at the Filmfest Hamburg! We are happy to announce that two of our productions will be showcased at this years Filmfest Hamburg! The comedy “Echte Bauern singen besser” (Screenplay: Arndt Stüwe, Director: Holger Haase), made for ARD Degeto, will be competing in the section “Televisions – Television on the Big Screen“. Sebastian Bezzel plays the dual roles of a has-been rock star and a talented farmer who slips into the former’s skin. Also starring Susanne Bormann, Christian Näthe, Roman Knizka, Pegah Ferydoni, Thelma Buabeng, Peter Trabner and more. Our international co-production “Another Day of Life“ (Screenplay: Raul de la Fuente, David Weber, Amaia Ramirez based on the book by Ryszard Kapuściński, Directors: Raul de la Fuente & Damian Nenow) already received accolades at this year’s Cannes Filmfestival. The film was realised with the help of funding from the Filmförderung Hamburg Schleswig-Holstein. 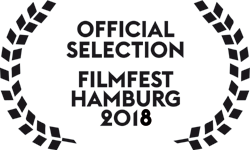 We are delighted that the Filmfest Hamburg will feature the film in competition in the section “Freihafen”! 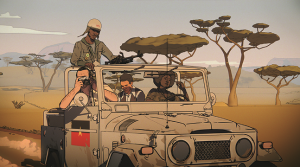 The story explores the drama of the Angolan civil war in the year 1975 through the eyes of the legendary war reporter Ryszard Kapuściński. Further information about the Filmfest Hamburg’s programme and the screenings of our films can be found here.